Growing up in Chicago’s Humboldt Park and Logan Square communities, Rafael ‘Lego' Rodriguez dedicated himself to a career in music at a very early age. He landed himself a DJ residency at the Chicago nightclub ‘Kaboom' by the age of 19 and apparently his notoriety and growing fan base in 1992 led to a now 20 year residency at Chicago’s 'Boom Boom Room'. Drawing from a wide spectrum of musical tastes as a DJ, Lego began producing his own music. In 1999 he produced the EP 'Flava In Ya Ear Vol. 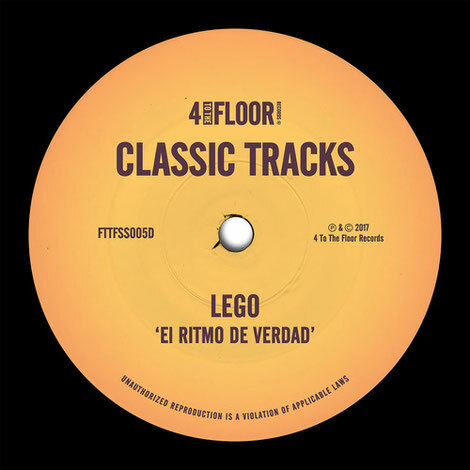 2’ on Afterhours Records, which included 'El Ritmo De Verdad' which apparently became an anthem for the global party scene of Ibiza, which in-turn influenced the global nightclub and dance music communities. Hitting Number 1 on the International Dance Music Charts Lego was possibly catapulted to international stardom. 'El Ritmo De Verdad' apparently continues to rock dancefloors the world over to this day. Franky Rizardo compliments the original version by adding energy and Swag’s Machacado Dub takes the track to a deeper, smoother vibe. Things are rounded off with the Accapella once again keeping this house classic well and truly alive.